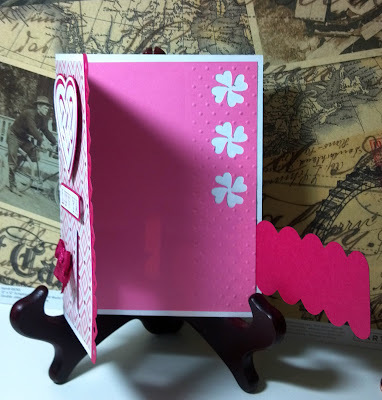 I really love this new collection at SVGCuts, here is another card I made with it, I cut one of the shapes out of vellum and put it behind the cutout. It really looks prettier in person. This picture shows the vellum a little better. 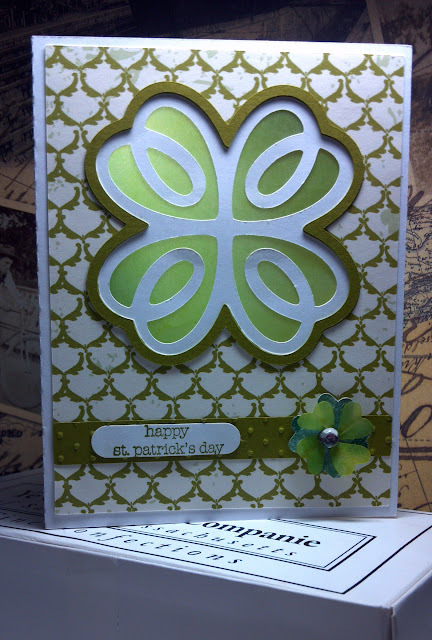 If you haven't seen SVGCuts new collection Celtic Knots and Clovers, you need to take a look especially with St. Patricks Day coming around the corner. 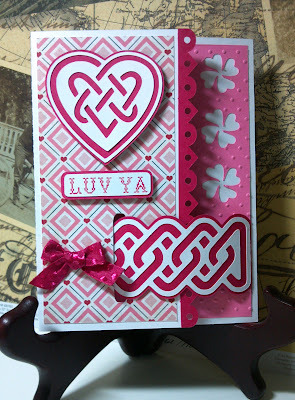 I thought the Celtic heart would make an awesome Valentine's Day card and the Colleen Knot would be perfect to use for a Buckle Card. 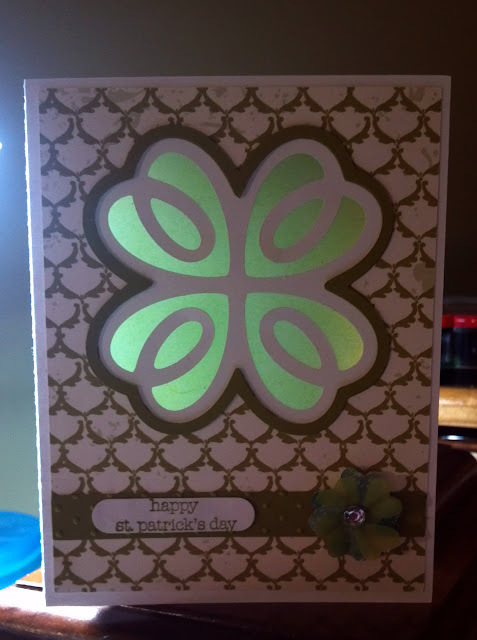 I made the card in Make the Cut, and used the clovers from the collection for the inside layer cutouts. 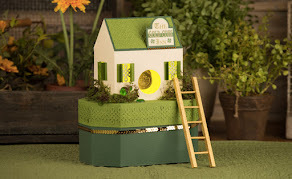 The border trim is from their Strawberry Lane Collection. 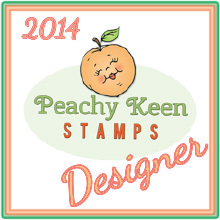 The LUV YA stamp is from Punkin' Patch's new set, All You Need Is Love. The pattern paper is Echo Park Yours Truly digital paper printed with my new Epson Photo 1400, which I love!! Here is the card opened ready for some Valentine Love!! I recently bought a smash book and I really like the calendar pockets so I created one in Make the Cut. 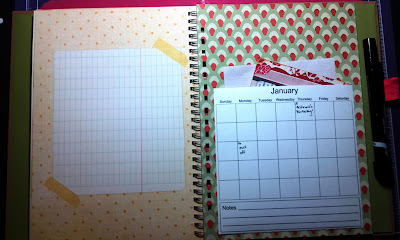 It's a print and cut so the calendar and notes are printed and then cut out. Here is a picture. I cut a page the same size as a smash book page to test. 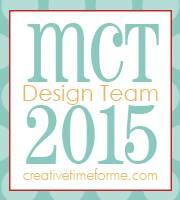 I'm adding the mtc file which has notes inside, and a svg file. 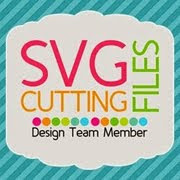 For the svg just put the months and calendar pocket with score marks on their own layers and hide them, print the calendar and then hide that and do a print and cut of the pocket. And here is a picture of the pocket that gets cut.